Richard is a partner in our Corporate Department. His practice covers investment funds, cross-border mergers and acquisitions, joint ventures, equity capital markets and corporate finance. 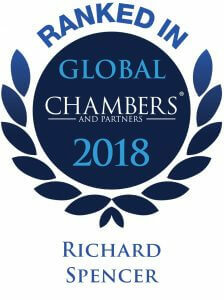 Legal 500 and IFLR 1000 refer to Richard as “highly regarded” and “excellent”. 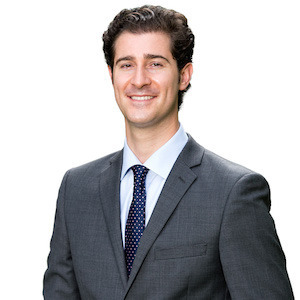 Richard represents hedge fund managers and private equity firms on the structuring, formation, regulation and ongoing operation of Cayman Islands investment funds with a wide array of asset classes, from cryptocurrencies and other digital assets to real estate and debt. He also advises fund investors and service providers on both routine and complex investment fund related matters. Richard advises on a wide variety of corporate transactions, including cross-border mergers and acquisitions, joint ventures, stock market listings, shareholder arrangements, group reorganisations and downstream transactions. He regularly assists emerging growth companies and established technology companies with their group structuring, offshore IP ownership and fundraising. He also advises clients on a range of finance matters, including fund financing and debt listings on the Cayman Islands Stock Exchange.